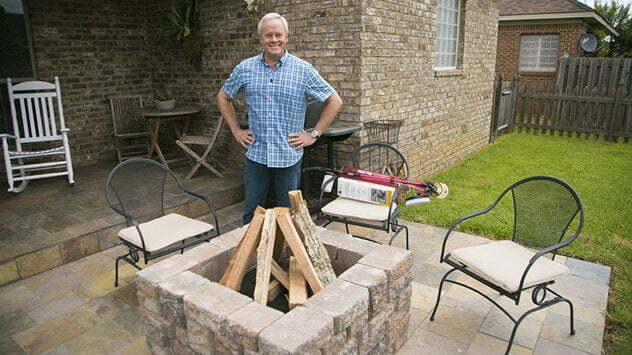 Danny Lipford with a fire pit made from Pavestone materials and the PivotPro by Hyde. The 4 Seasons of Home Ownership: Summer checklist focuses mainly on the exterior of the house, paying close attention to the siding and trim, fencing and gates, outdoor furniture and grill, driveway and sidewalks. Start by cleaning your home’s exterior, then tackle some projects that will enhance your outdoor living spaces. Read Enhancing Outdoor Living Areas for Summer Fun for more info.